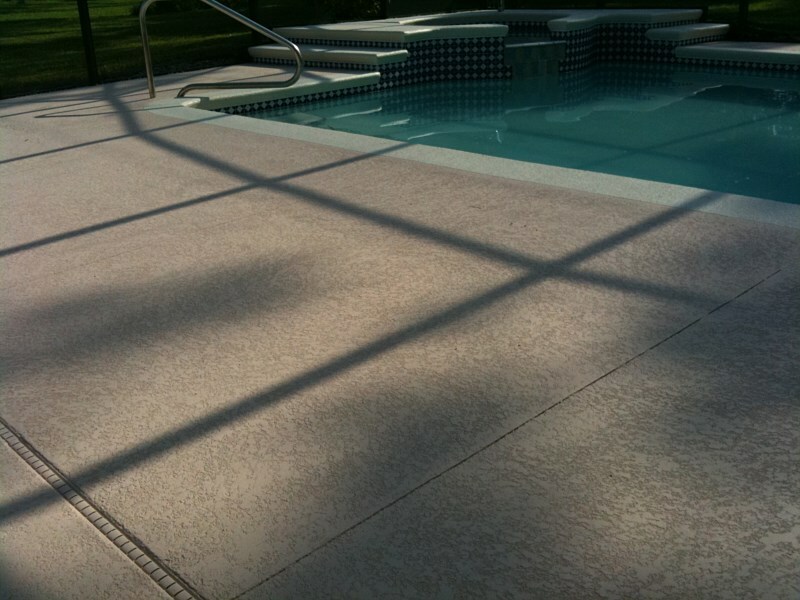 Acrylic spray deck systems are available in many patterns & colors. Orange Co. 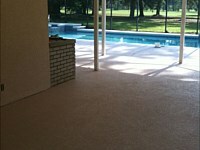 Brick Pavers can customize your pool deck, driveways, walkways and Lanai area to your complete satisfaction. 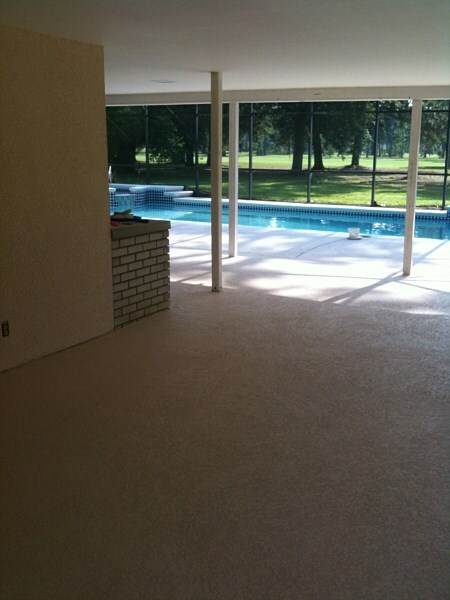 Acrylic texture spray deck system is a many step process depending on existing concrete conditions. Perfect conditions involve 5 steps. Pressure wash existing concrete to remove surface grime, surface dirt and oils. Grind open structural cracks and seal this is done to stop moisture from coming up from under lying area & causing delamination. Apply float coat. This process covers old pool decking for a base to work from tape in pattern if one is desired. Apply spray texture. This process is done by spraying material out of a hopper gun. The material is applied and knocked down with a trowel when material is to a certain point. Apply 2 coats of acrylic color stain. This process is rolled on. Will My Deck Cracks Re-appear? In some cases decks will re-crack, there is a no set rule of thumb what causes decks to crack other then the nature of concrete usual reasons are settling , moisture returning thru existing cracks. There are processes used to decrease the chances of this reoccurring but contractor can not warranty preexisting cracks.